A smooth move starts with great organization. Labeling your boxes is a key component to having an organized move. But are you labeling them correctly? 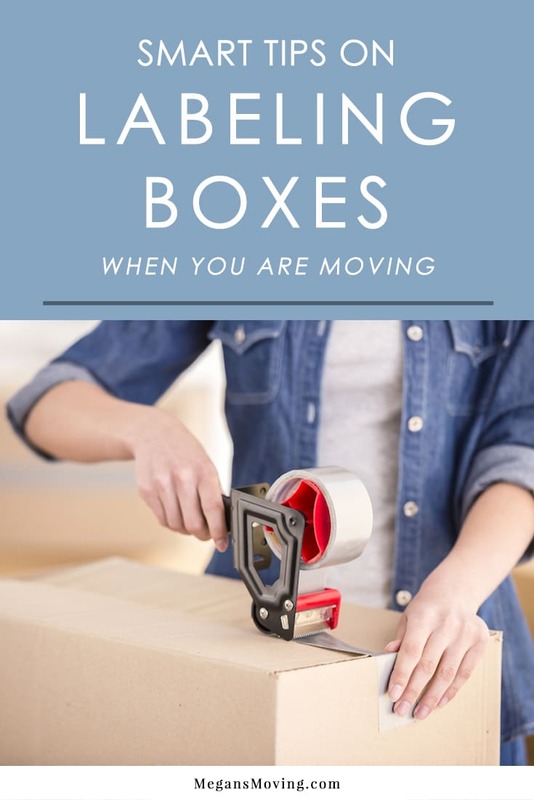 Follow these tips to make the most of how you label your boxes so your move will be as smooth and efficient as possible. It may sound like a frivolous extra step, but color coding your labels actually takes no extra time at all and will help the process of moving become even more efficient. When your boxes’ labels are color-coded to their designated room, you can see at a quick glance where it’s meant to go, even at a distance. Boxes are much less likely to end up in the wrong place, and it speeds up the process a bit because your brain processes color faster than it does a written word. You can use colored packing tape, colored stickers or colored markers for this purpose. For any boxes that have special requirements (such as fragile items, essentials, and perishables), make sure you label them as such. If a box isn’t clearly labeled that it’s fragile, for example, movers won’t know to handle it differently and pack it in the truck in a particular way to protect it. You also won’t know to handle it with special care, either, once you start unpacking everything. The placement of your labels should always be clear and obvious. Instead of labeling only one side or the top of the box, we recommend labeling all four sides, as well as the top, so it easily can be seen from all angles. Also, make sure the label is clear to read. If it’s too small, faded or messy, you could end up wasting time trying to figure out what it says later on. The label should be clear at a glance so the move can be as efficient as possible. Always inventory your items as you label them. This extra step only takes a moment and will save you a lot of time and stress in the long run. Not only does it make unpacking easier because you’ll know exactly where to find anything you need without having to rummage through boxes, but you’ll also have a list of everything you brought with you in case anything goes missing.